Recently, Michael Robbins, our very own Director of Training, Drones, wrote a short highlight piece, titled “Startup Drone Makers Are Finding Record Amounts Of Funding,” where he talks about the drone startup cash grab. Mads Larsen, manager at DroneBlogUK, contributed a guest post to the UAV Coach blog on the same subject. During recent years we have seen a surge in investments into the drone industry, especially venture capitalists are showing an increasingly large willingness to take risks by investing in start-ups despite the fact that we are currently dealing with a market that is still solidifying itself. Similar to the US, the UK has some fairly severe regulatory restrictions that are creating a bottleneck for commercial drone operations. On the regulatory side the U.S. Federal Aviation Administration is expecting to have its regulations in regards to the business application of drones ready around this time next year (June 2016), meanwhile the UK is also still shaping its rules for both civilian and commercial drone use. Right now anyone can pick up a drone in the UK and fly it as long as it weighs less than 20kg. However, for larger drones (as well as for commercial use) you will have to seek permission from the CAA (Civil Aviation Authority). This all comes in light of recent cases, such as when a commercial airliner nearly collided with a civilian drone near Heathrow Airport, which sparks concern for tighter regulations. 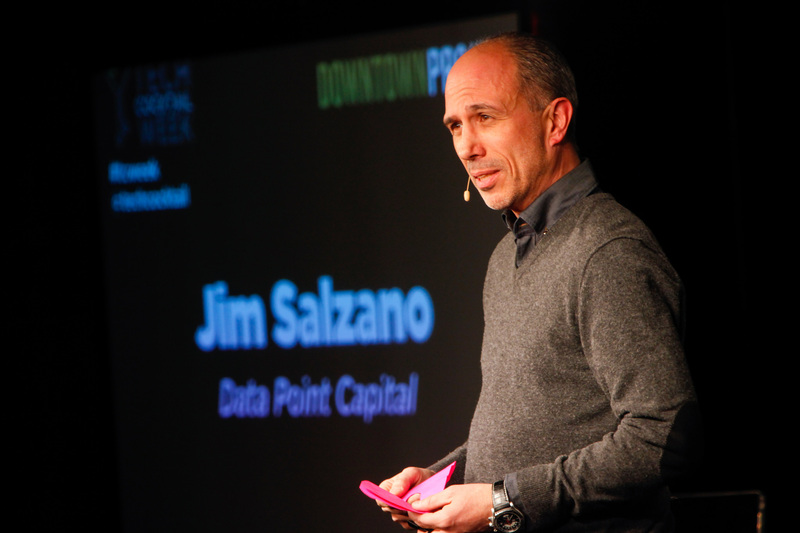 Even bound by regulations, venture capital money is flooding into the industry. With drone sales estimated in the billions of dollars over the next decade, there are already more venture capital investors who have done a deal in a drone-related startup than actual investor-backed drone startups (similar to a phenomena we have noted in bitcoin startups). Prominent VCs who have made drone investments in the past year include Google Ventures, Andreessen Horowitz and Felicis Ventures. 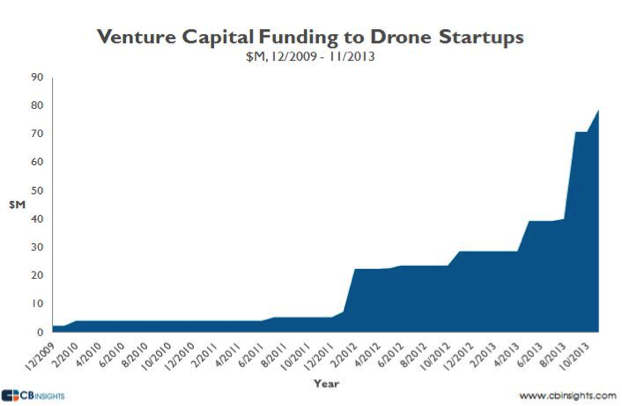 Even though the drone economy is young and has just recently begun attracting venture capital dollars, the numbers are impressive.